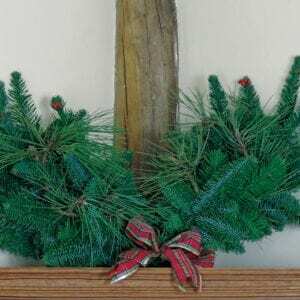 The Advent Wreath Without Candles is made with real noble fir. It will make a fantastic centre piece over the festive period. Member of The British Christmas Tree Growers Association (BCTGA). 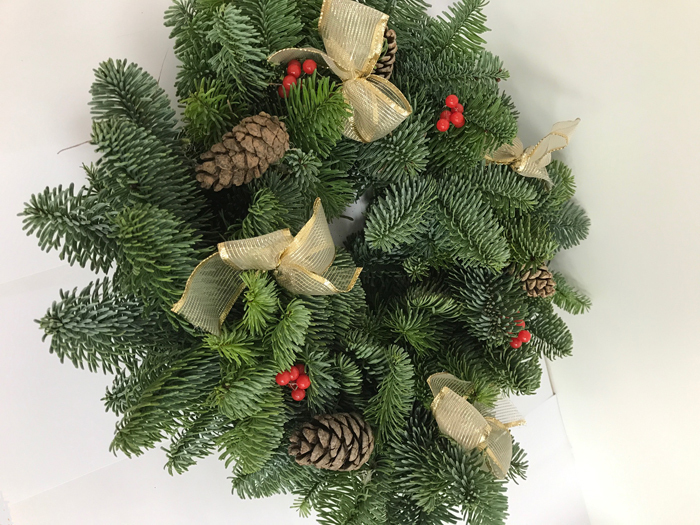 Bring home the warmth and smell of the festive season with our beautifully hand decorated Christmas wreaths from Herefordshire, Englands most rural county. 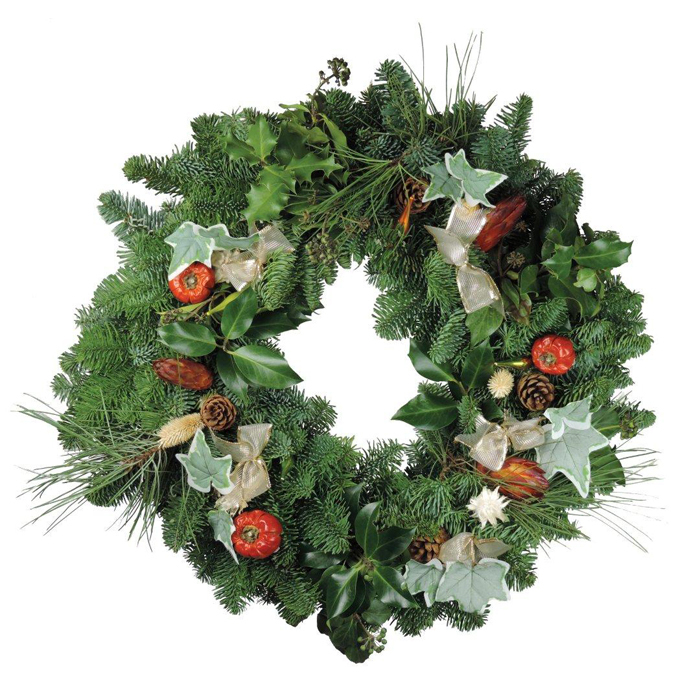 Lower Hope Festive in Herefordshire offers only the finest quality fresh Christmas wreaths and garlands, that are hand made with fresh noble fir by our nimble fingered wreath makers. 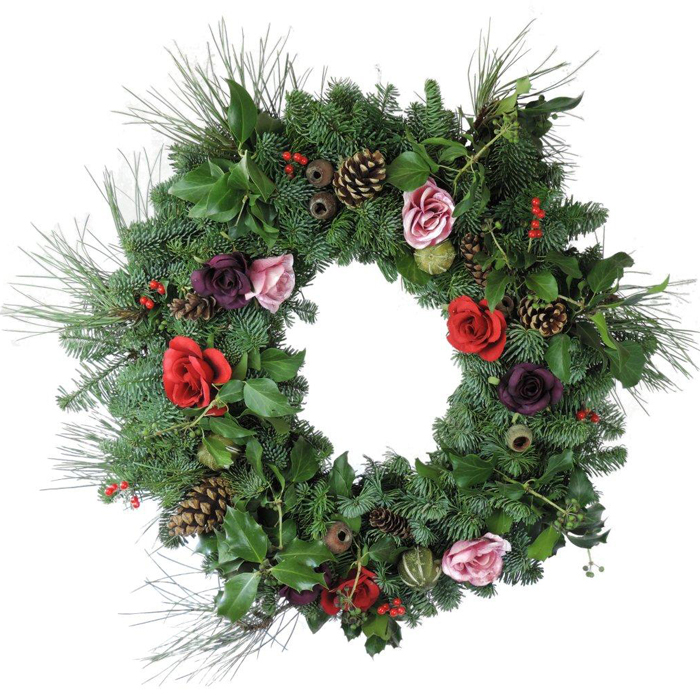 The wreaths are made from sustainable foliage that is sourced locally. We have a range of designed decorations available to choose from, or upon consultation we can create bespoke orders with custom designs. 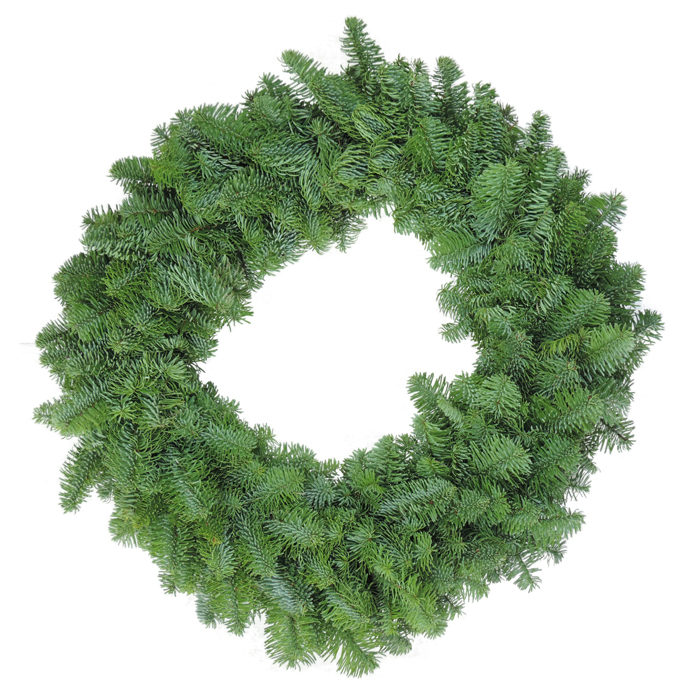 We are also able to supply wholesale quantities of fresh noble fir foliage for you to make your own festive decorations. Mistletoe, sourced from local apple orchards, is also available.